Cllr Ray Daniells, Chair of the Parish Council, laying a wreath on behalf of the parish at the Remembrance Service in the Churchyard. 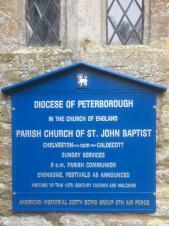 The 305th BG sign that used to hang by the entrance to driveway to the churchyard has been getting rather worn over the years and was replaced earlier this year by a new oak sign for the church services. The 305th BG sign has been restored by the 305th BGMA and now proudly hangs next to the church tower, ready for the Remembrance Service on Sunday. 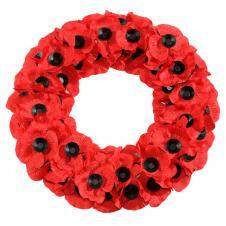 The Annual Service of Remembrance will take place on Sunday 12th November. The normal church communion service will start at 9:00 and at approx. 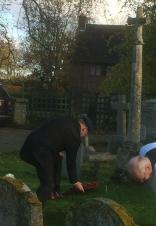 9:50 move outside to the Churchyard. The act of Remembrance will take place by the Cross of Sorrow, where the minute's silence will be held. Wreaths will then be laid at the cross, and at the 305th memorial at the base of the church tower. 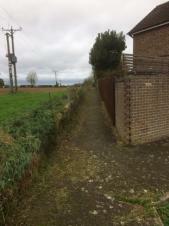 The Parish Council is funding the "siding out" (widen back to full width) of a number of footways that have suffered encroaching vegetation. These are the footway that links Duchy Close to Hillside (pictured), the whole of the western side of Raunds Road, and part of Caldecott Road between the Church and Bidwell Lane. You may have spotted the Council's latest contractor at work! 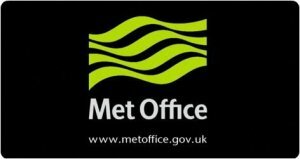 The Met Office has issued a YELLOW wind warning for the more southern parts of the East Midlands - MEDIUM Likelihood of LOW Impacts, valid between 0400 and 2359 on Saturday 21st October. The wind blowing from the southwest will steadily increase during Friday night and by mid to late Saturday morning we could be experiencing gusts between 40 and 50 mph. 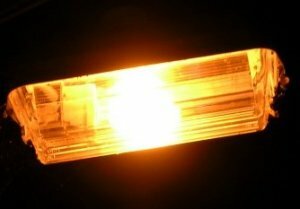 Lamp 1 (Near 37 Water Lane) has been reported as a dim red glow. Lamp 2 (near Hall Farm House, Water Lane) has been reported as dead. Lamp 8 (near 3 Duchy Close) has been reported as coming on early. UPDATED: All repaired by the lighting contractor. Murder at the Village Hall wedding reception! On Saturday evening, a number of guests turned up to the wedding reception of "Ros and Clive Gresham" at the Village Hall. Sadly, all did not turn out well for the newly weds, but the guests appear to have had a great time from feedback so far! The murder mystery was a new venture for the Events Committee, and one which may be repeated next year. 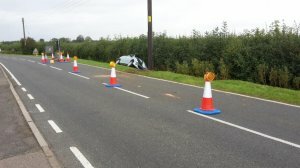 Following a traffic incident on Sunday afternoon when a vehicle damaged a power pole outside Redwood, Raunds Road, Western Power Distribution (WPD) have isolated the power near Hawthorn Cottage whilst the pole is replaced. This means 16 properties are currently without power. UPDATE: WPD have restored the supply. 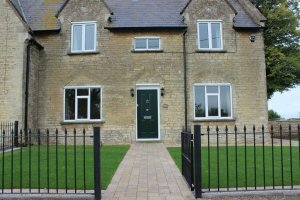 The Educational Foundation charity that owns the Village Hall and School House has completed a major refurbishment of the former schoolmaster's house, which is attached to the Village Hall (the former school, which closed in December 1967). 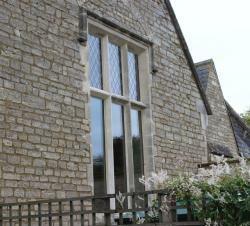 The Educational Foundation charity that owns the Village Hall and School House has completed the repairs to the windows in the old part of the hall.